Newly remodeled and move in ready 3 bedroom 1.5 bath all concrete block home in the San Mateo area features. Wood and tile floors with carpet in bedrooms. Open living room with step down family room that corners a stone wood fireplace. Eat in kitchen with new stainless steel appliances, white wood cabinets and granite counters and custom tile backsplash. Main bath is highlighted by a stand alone sink and jetted soaker tub. Master bedroom has plenty of closet space and personal half bath. The oversized tiled, glassed in Florida room is perfect for entertaining. Extended covered patio off the Florida room is great for BBQ. Large backyard complete with new fence. Brand new AC. Backyard is large enough for a pool. Large interior laundry area complete with washer & dryer. 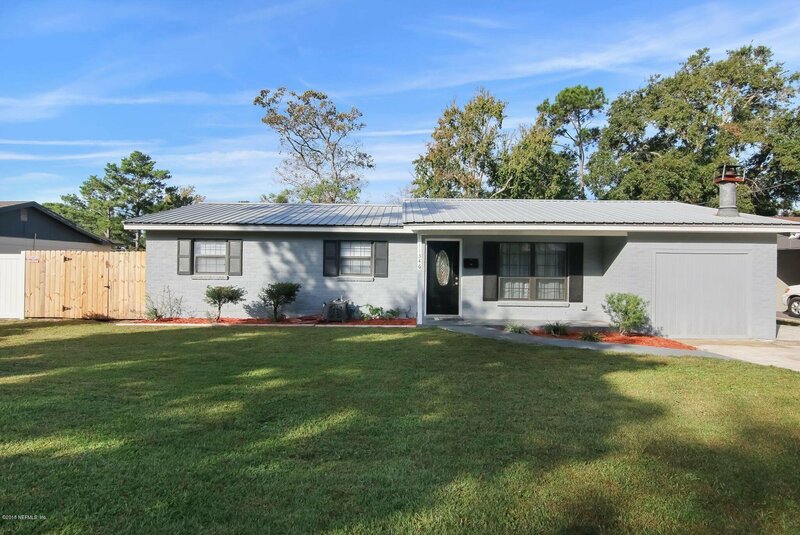 Listing courtesy of FIRST COAST REALTY OF JACKSONVILLE INC. Selling Office: EXPLORE REALTY INC..